Have you been searching for a literature curriculum that uses classic books and poems to teach writing skills and literacy analysis? Well, look no further than Hewitt Homeschooling to fit the bill. Hewitt Homeschooling has been around for many years in the homeschooling circle. They strive to serve parents with students from kindergarten through highschool with an emphasis on combining excellent academics with character development, by instilling a strong work ethic, and to develop a spirit of community service within the next generation. Firmly believing that reading great literature and then writing about it going hand in hand in preparing students for college-level reading and writing, 100 Crew members have had the opportunity to use several different curriculum over the last six weeks. 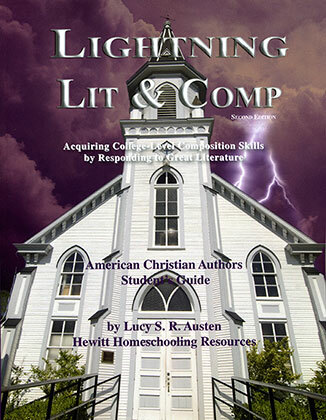 The Lighting Literature series is available for elementary to junior and senior high students. By using a combination of novels, poetry, plays, and full length autobiographies to teach composition, literature, and other language arts skills by instilling a love of great literature in children. Lightning Literature and Composition First Grade: Student Workbook and Teacher Guide ~ children will expand their ability to read while improving communication skills. Concepts covered include Reading Journal Pages, alphabet and sentence puzzle pages, and dictionary pages. 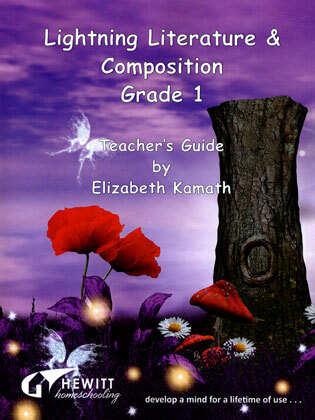 The Teacher’s Guide provides scripted questions for the teacher to aid in student comprehension. The junior high levels are year long courses available in 7th or 8th grade and include a student guide, a teacher guide, and a consumable student workbook. The High school Lightning Lit programs offer many different programs that are designed to be an one – semester program for most students. However, there are schedules available for full year options for students who need more time. Crew members could choose from American Mid-Late 19th Century or British Early-Mid 19th Century. 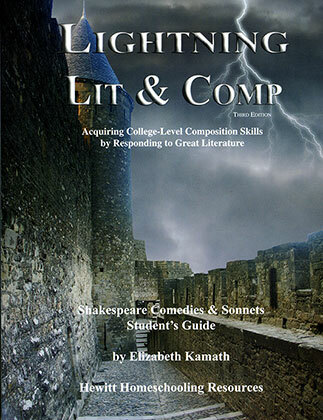 For a more challenging program your student can choose from programs that explore Shakespeare’s Comedies & Sonnets, World Lit: Africa & Asia or cover skills for college-level writing with American Christian Lit. These courses are especially meant for Juniors and Seniors because of the content presented in the lessons. 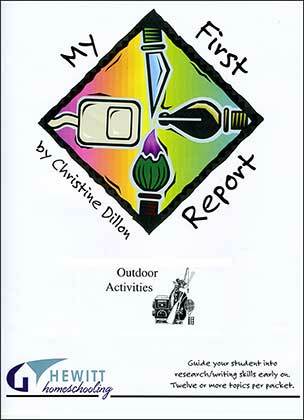 All of the high school levels include a student guide and a teachers’ guide. Each guide includes author biographies, comprehension questions, writing exercises, and short stories, essays, or poems used in the lessons. Hewitt Homeschooling also carries a huge variety of curriculum for the younger elementary crowd in addition to the 1st grade Literature program. 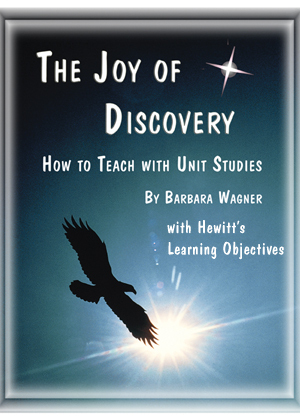 Dive into the Joy of Discovery and learn how to create exciting unit studies. While Learning Objectives helps the parent teacher track up to three K-8th grade students for understanding and mastery of concepts. Want to do a State study? Use the Chronicles of . . . A State History Notebook a notebook to study any state you wish. 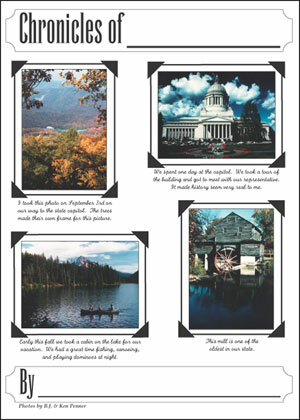 Intended for children in grades 3-6, this notebook gives students the chance to create a great keepsake of their home state, or any state they want to explore, all the while learning some very important research skills. 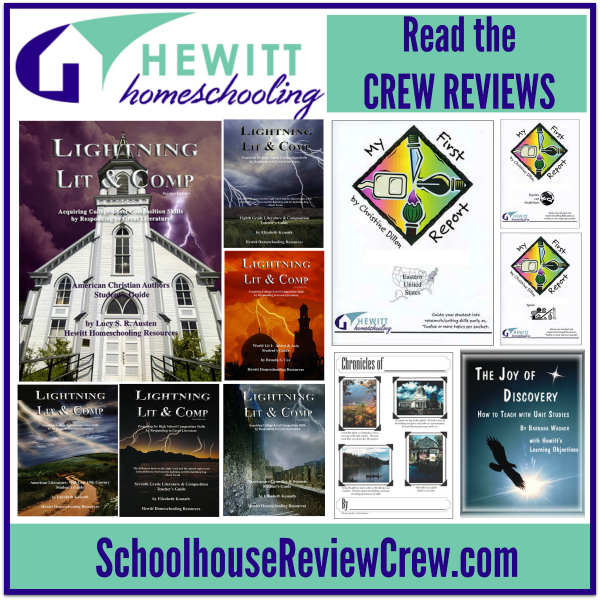 Keep in touch with Hewitt Homeschooling on Social Media.